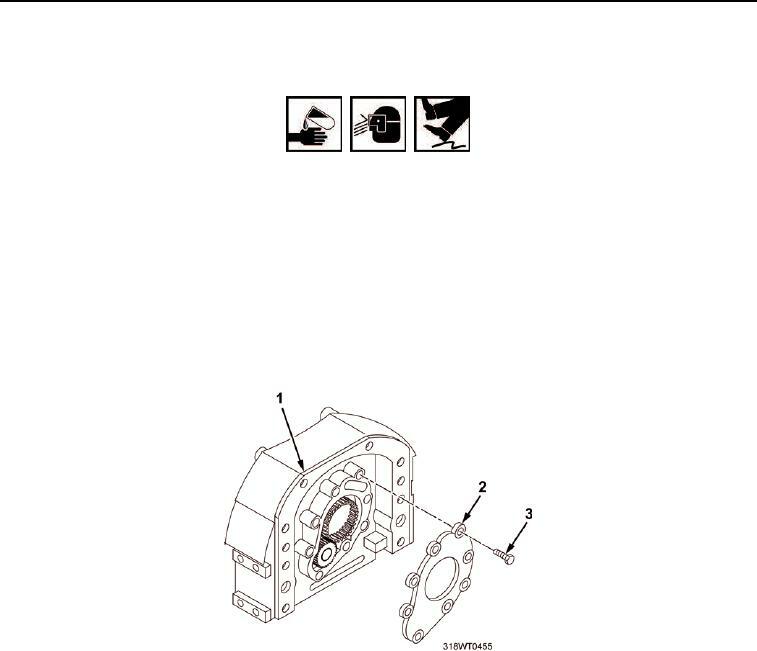 crankshaft front cover (Figure 1, Item 1). Remove retaining plate (Figure 1, Item 2). Remove oil pump driven gear (Figure 2, Item 2) and hub (Figure 2, Item 3). Remove driven gear and bushing (Figure 2, Item 4) and shaft (Figure 2, Item 5).